Perennia is pleased to be undertaking and offering a number of initiatives to support the growth of the province’s wine and grape sector. A key partner is the Nova Scotia Department of Agriculture as part of its Vineyard Expansion and Development Program, along with other collaborative and funding partners noted below. Grape and Wine Initiatives Brochure. As part of Nova Scotia’s Vineyard Development and Expansion Program, Perennia offers full and partial site assessments to current and future vineyard owners. These assessments are conducted at no cost to successful applicants under the provincial program. These services are offered to mitigate risk – and assessing the soil, drainage and climate so clients have the best data possible to make a decision about a hefty investment and rate of return. Through a unique partnership with Acadia’s alab, Perennia hired, Neslihan Ivit, a wine quality specialist. 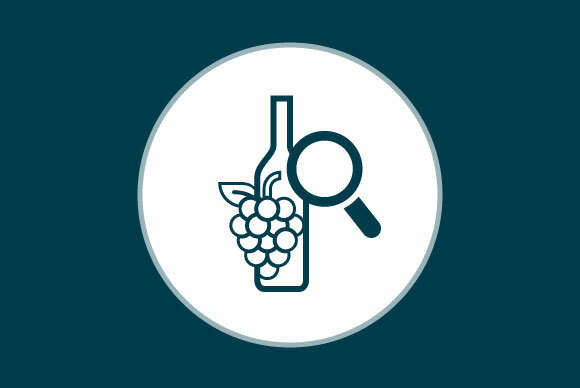 Nesli’s role is working directly with industry to maximize the quality of the wine produced in Nova Scotia – through advice and information sharing, as well as helping them interpret lab results and analysis and outlining any options to address wine quality issues. The Perennia Plant Health Lab is a plant diagnostic laboratory specializing in virus detection in grapes by RT-PCR (RNA viruses) and PCR (DNA viruses). While the lab isn’t yet accepting samples, learn more about the lab on our Plant Health Lab page.